The VBeam laser (also sometimes known as a vascular laser) is a pulsed dye laser. This means that the light energy is delivered in a series of pulses to reduce red marks and treat dilated blood vessels. The Vbeam laser treatment works on multiple areas of the body and it is effective for many different skin conditions both medical and cosmetic in nature. Before/After of a patient with facial redness who had a few VBeam laser treatments. We will apply the laser energy directly to the affected area of skin. This laser is designed to target red blood cells within vessels. This will help reduce the redness seen at the surface of the skin. In addition, this laser can be used to treat other conditions of the skin that have been caused by sun damage and acne. Dr. Crippen and/or his trained laser staff member will calibrate the laser to treat the specific area of the body and determine the strength needed for your customized treatment as each area, condition, and patient is unique. Each patient will be given specialized protective laser eyewear as well. As each treatment is unique to each patient, and the length of time the problem has existed, VBeam laser treatments work well on recent skin problems, but can also be performed successfully on long-standing problems. While many patients see results in as little as one treatment, to completely eradicate the skin-affecting problem, VBeam laser treatments usually work best in a 3-4 treatment cycle. Some conditions may require further treatment or recurring visits one to two times per year. Patients are expected to feel some minor discomfort during treatment which generally consists of a feeling of slight pinching of the skin. On occasion, when treating deeper skin problems such as Port Wine Stains, bruising can occur but this is not the normal patient or situation. 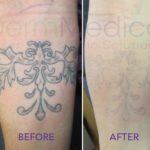 Should you have any questions regarding VBeam laser treatments, or any of the other treatments, please contact DermMedica. We’d be happy to walk you through your customized treatment plan. Can the VBeam Laser Treat Conditions That Aren’t in the List Above? Absolutely. Our VBeam laser is highly configurable, and we can adjust it to treat many conditions located in many places on your body. We may recommend this laser for many conditions that aren’t listed, especially if they involve redness of the skin. Can I Schedule a VBeam Laser Treatment Directly? Our VBeam laser is popular and works with many different conditions. However, to determine your treatment plan, we’ll need to examine and discuss your problem area in a private conversation. This particular laser may not be the best choice out of the devices we carry here. Rest assured that we’ll recommend the treatment that has the best chance at giving you the relief you want. 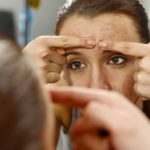 How Many Treatments Are Required to Remove Large Sun Spots? No two cases of sun spots are identical. There are many factors that go into how easily sun spots can be removed, including the size, color and prominence of the spot. Smaller, lighter spots will require fewer treatments to remedy. Is VBeam a Good Laser Treatment for Rosacea? VBeam is the gold standard laser treatment for rosacea and we perform this treatment on a regular basis. Can I Receive IPL One Week After VBeam? We would recommend waiting at least 2 weeks between this treatment regimen. How Long Does Redness Last After VBeam? Usually the skin will remain red for a few days after treatment but this varies widely between patients as the treatments are all individualized. How Long Before Bruises from VBeam Disappears? If we cause bruising on purpose during the treatment, this usually lasts 5-7 days on average for the patient. You can cover it up if needed. What Is the Frequency of V-Beam Maintenance Treatments? We normally recommend monthly Vbeam sessions until the skin looks good and we are satisfied with the results. After this, we recommend yearly follow up sessions if needed. Is VBeam Safe for Ethnic Skin? VBeam laser is exceptionally safe for all skin types as long as the operator is well trained on it’s operation like Dr. Crippen. How Long Should I Wait to Drink Alcohol After a VBeam Laser Treatment? You can ingest alcohol anytime after your treatment if you choose to do so. There are no adverse effects on your laser treatment. How Much Does a VBeam Laser Treatment Cost? The price varies between patients due to the complexity of the case and the desired results. We need to see you to give you a good price that is accurate. Each patient is unique. Does VBeam Remove Old Red Acne Scars? Absolutely, we perform this treatment routinely to reduce the erythema (Redness) associated with old acne scars.